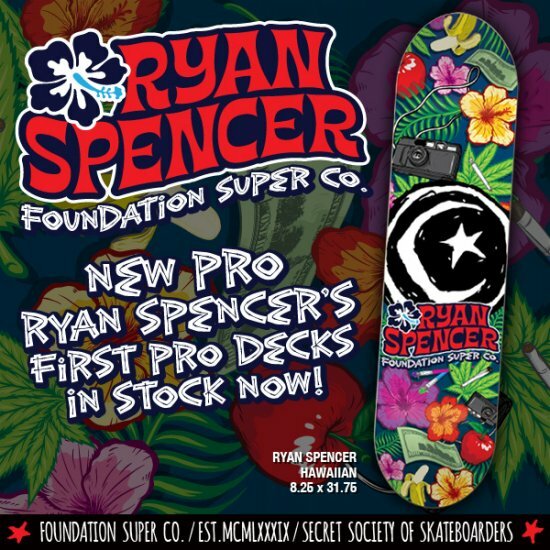 Ryan Spencer is officially PRO and this is his 1st pro model for Foundation Skateboards! The 8.25" shape is the exact model that Ryan shreds in the streets. The board artwork pairs our classic Star and Moon logo with some of Ryan's favorite things in life. And for the skate nerds out there....the graphic was illustrated by the legendary skateboard artist, Todd Bratrud. Demand this board from your local skateshop or purchase here.